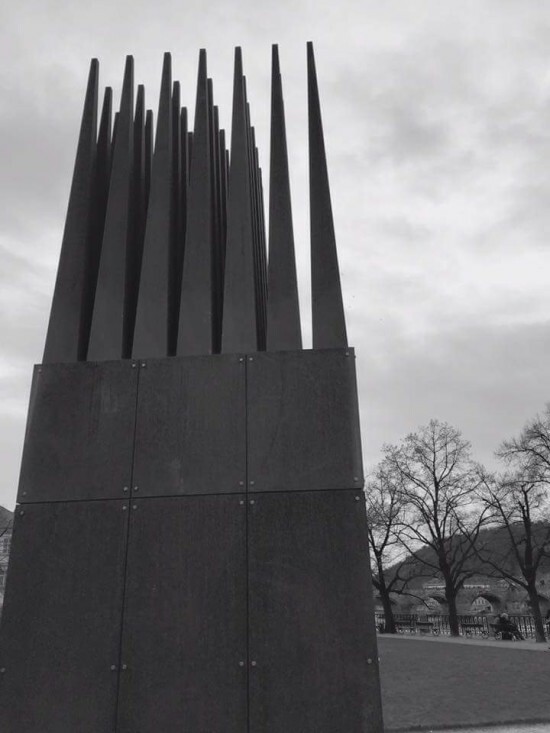 It took a long time for The House of the Suicide and the House of the Mother of the Suicide to find their way to the square. The structures were first created in 1986 by a group of students from the Georgia Institute of Technology in Atlanta, under the direction of James Williamson in collaboration with Hejduk. 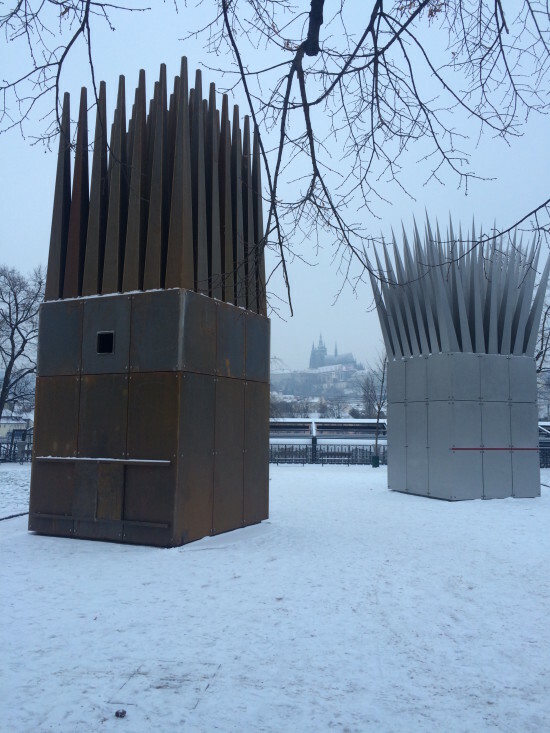 In 1991, on the invitation of Václav Havel, Hejduk installed a second version of the works in the Royal Garden at Prague Castle. In a gesture of democratic solidarity, the structures were dedicated to the president and the people of Czechoslovakia. But by the end of the decade the wooden structures were weather beaten, had fallen into disrepair, and were removed. 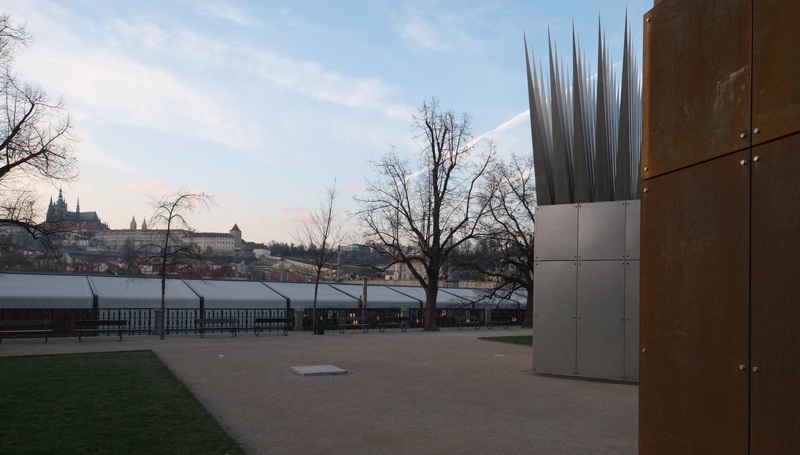 According to Hejduk’s daughter, Renata Hejduk, the idea to permanently install the work came back to life in 2000, when the architect was on his deathbed, but it took another fifteen years of false starts and political wrangling before the designs were finally installed. 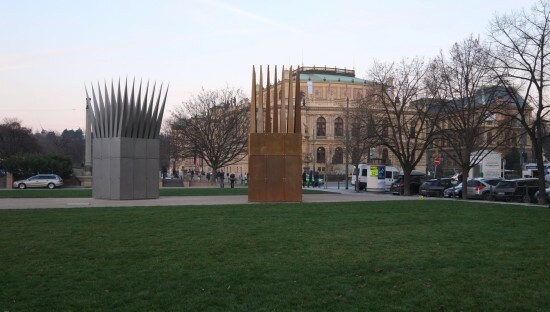 The site in Jan Palach Square was developed MCA Studio under architects Miroslav Cikán and Pavla Melková, in collaboration with architect Václav Králíček and derives from an earlier plan to locate the works on Alšovo nábřeží, which was part of a 2002 competition study for Palachovo náměstí by Václav Králíček. 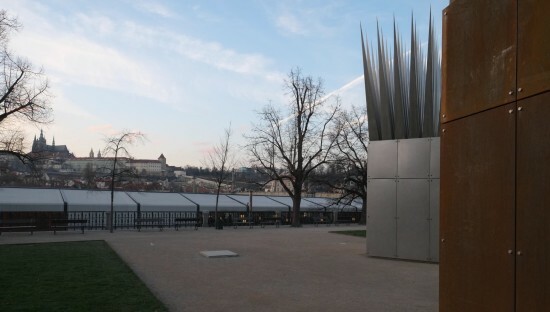 Beginning in 2014, Prague City Gallery was in charge of the implementation. 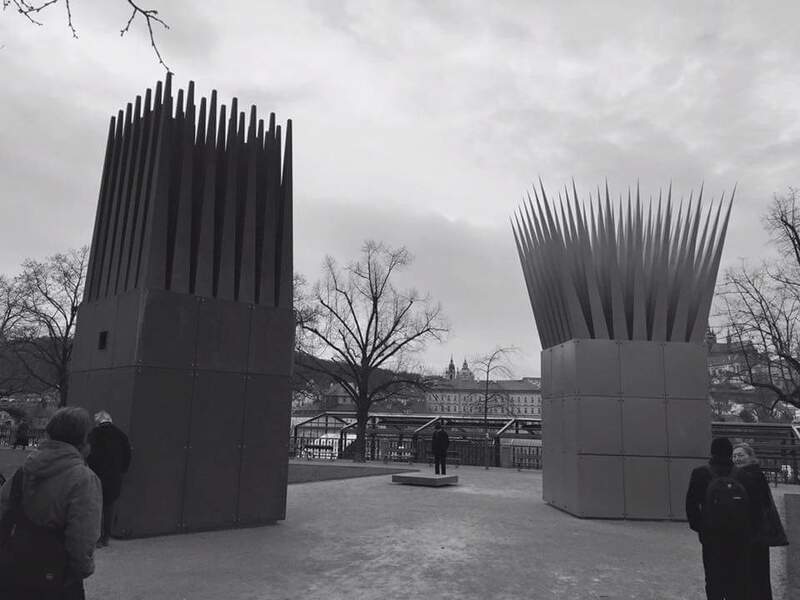 The House of the Suicide and the House of the Mother of the Suicide are part of Hejduk’s Masque series and are often considered two “characters”—a mother and a son. 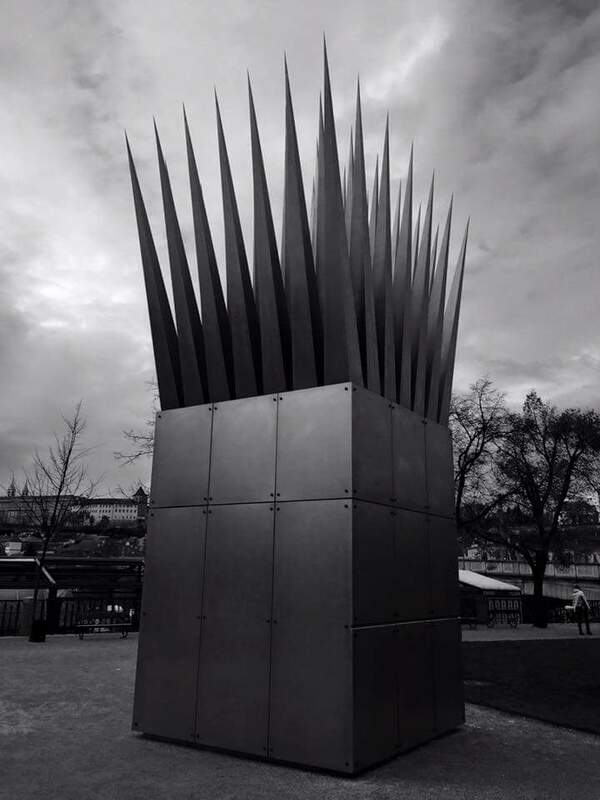 Each 9-foot by 9-foot cube is topped by a crown of steel spikes. In this current iteration fabricated by Czech KRUNTORÁD Metal Design, the son, or The House of the Suicide, is clad in burnished stainless steel and the mother is clad in dark CorTen steel. The son structure is totally sealed, but the House of the Mother has a cramped room with a single window that looks forever out at her martyred son.